If you go down to the woods today you’re in for a big surprise…. 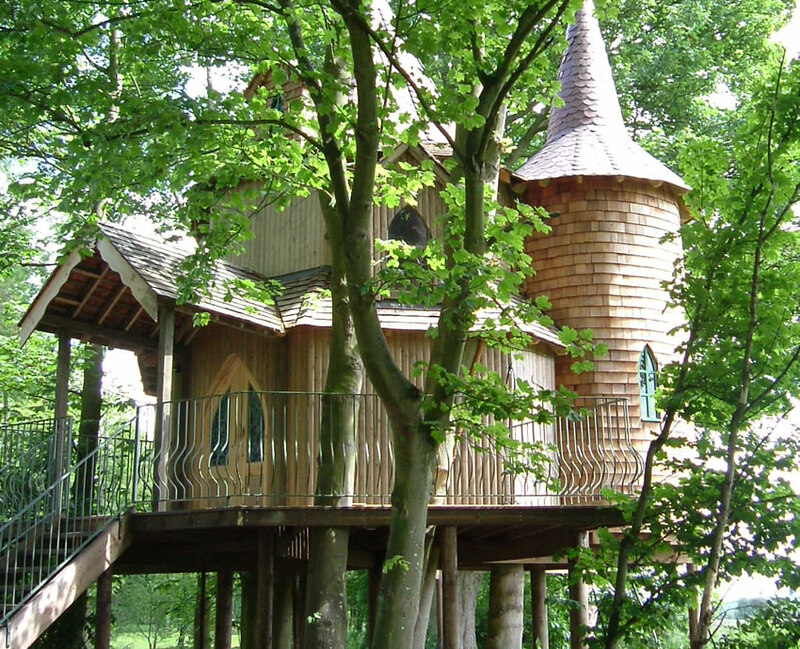 Because this is where you will find Fernie Castle Treehouse perched in six lofty sycamores, the first glimpse of the house is through the pines, rowans and elderberries, the sun glinting on copper roof tiles. 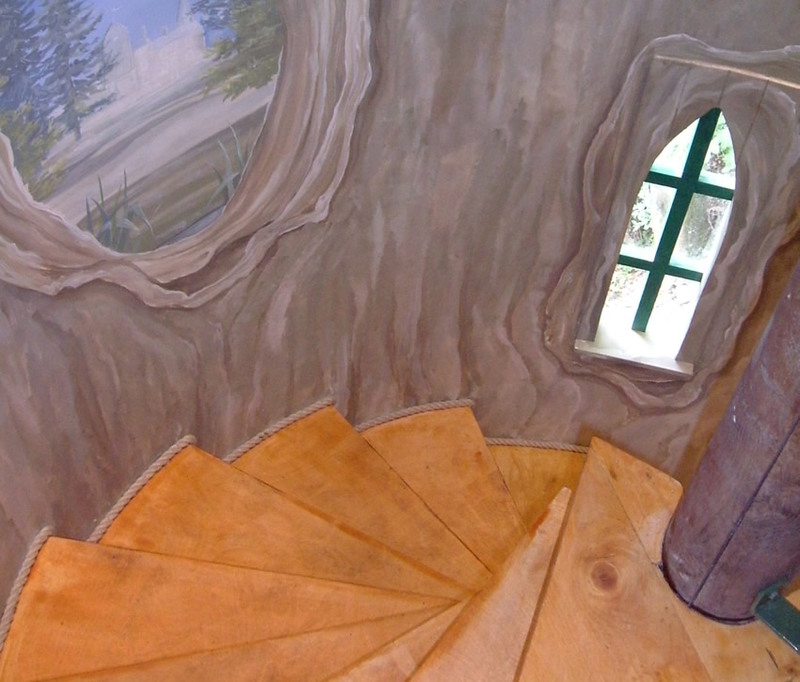 It appears to grow out of the trees with the sycamores bursting right through the floor and up out of the roof . 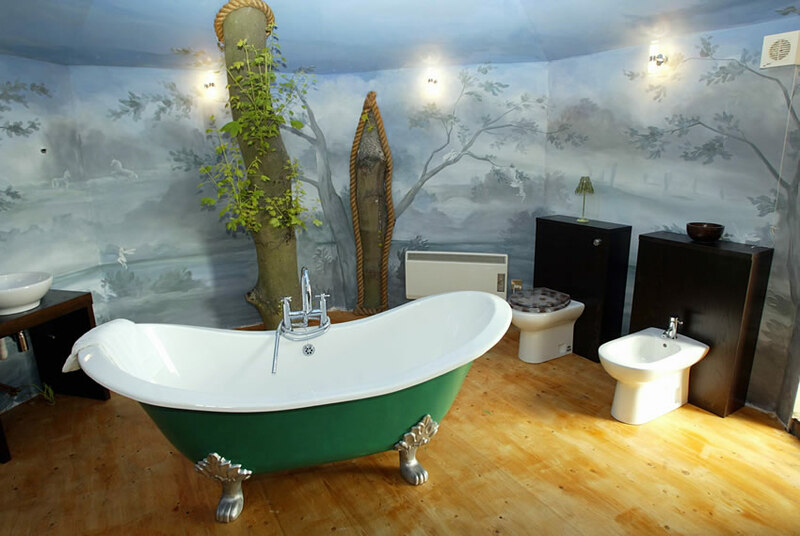 Entry is via a flight of stairs to a fairy light-festooned balcony where double doors with striking stained glass lead you into the bedroom. full of champagne, chocolates and other goodies. 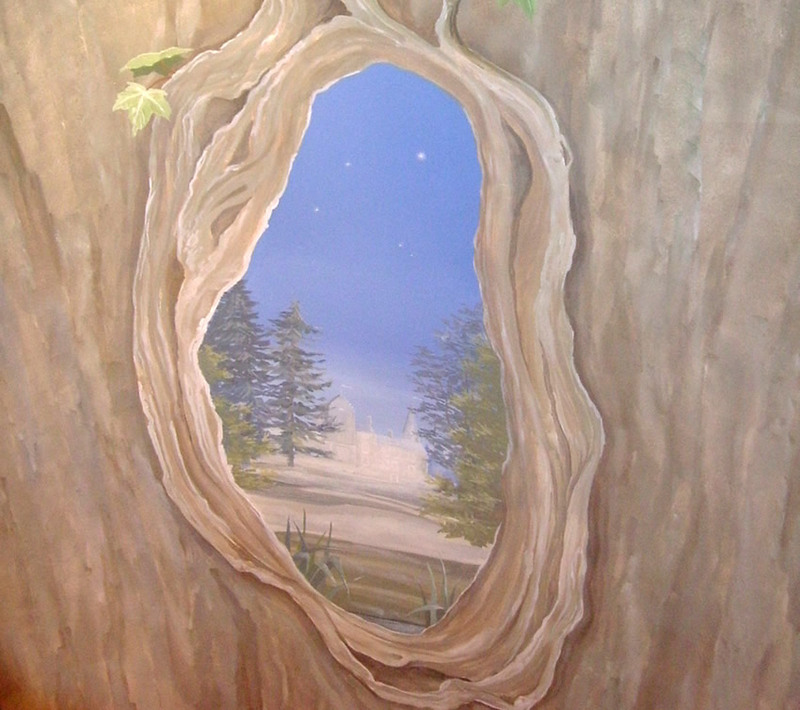 Climbing up what appears to be the inside of a hollow tree, one emerges into an octagonal bathroom with walls painted twilight blue and a frieze of fairies who flit among trees overhanging pools of water. private garden grounds which lead to Fernie burn running through Fernie grounds. 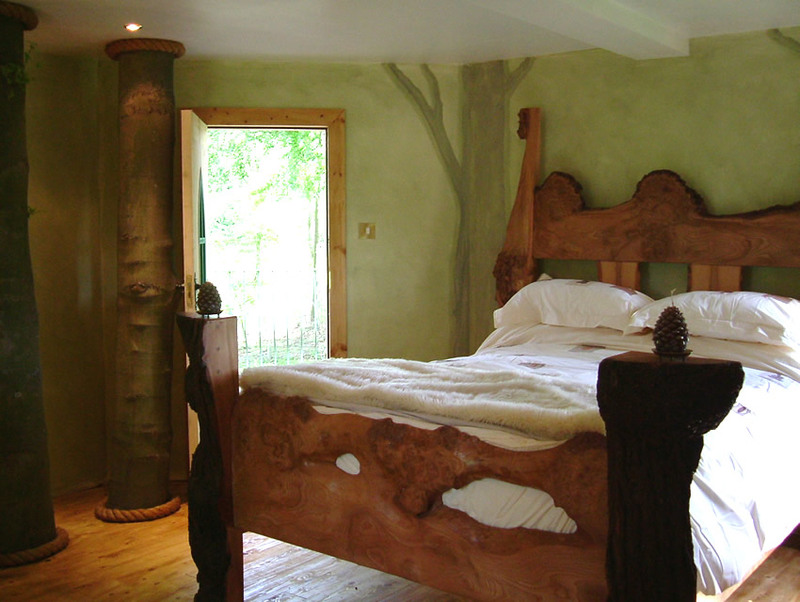 So if you do go down to the woods today you will have all the luxuries of a five star hotel suite but the feeling of something magical straight out of Robin Hood perhaps…..